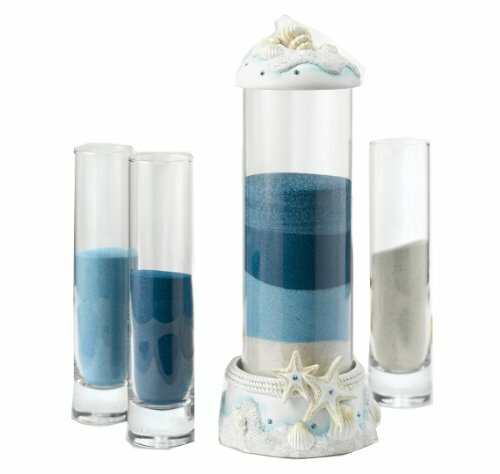 Seashell Sand Ceremony set of four includes large cylinder with beach-themed, resin base and removable lid carved with seashells featuring rhinestone accents. Three smaller cylinders for pouring are also included. Large cylinder is 9-Inch tall and 3-Inch diameter; 11-3/4-Inch and 4-1/4-Inch diameter including lid and base; small cylinders are each 7-1/2-Inch tall and 1-3/4-Inch diameter. 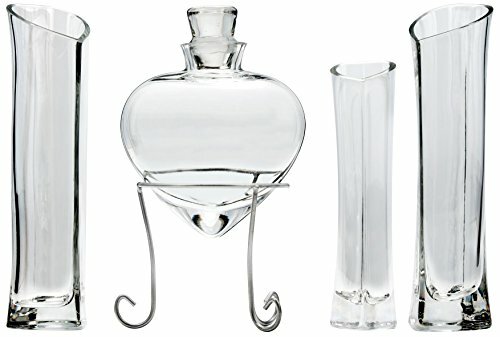 Lillian Rose Glass Unity Sand Vase Set. 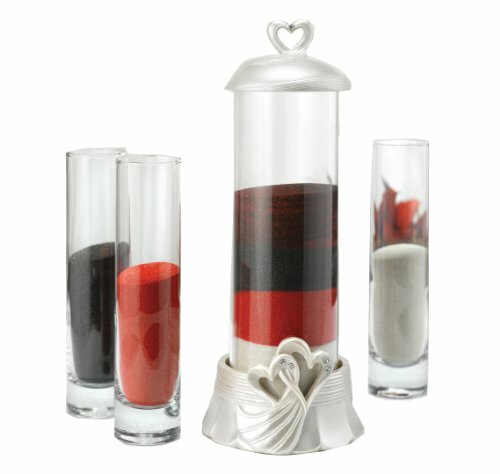 This glass unity sand vase set includes one main vase (8.25" tall, 2.75" wide) and two side vases (9.5" tall, 1.625" diameter). Each side vase holds 7 ounces of sand. The main vase holds 14 ounces of sand. Sand is not included. A Love Letter exchange is a romantic ceremony that will enhance your wedding and serve as a lasting reminder of the commitments made to one another. Heart felt letters, encapsulating your thoughts and feelings are locked away to be revealed several years into your marriage. A distinctive way to celebrate your love for one another. 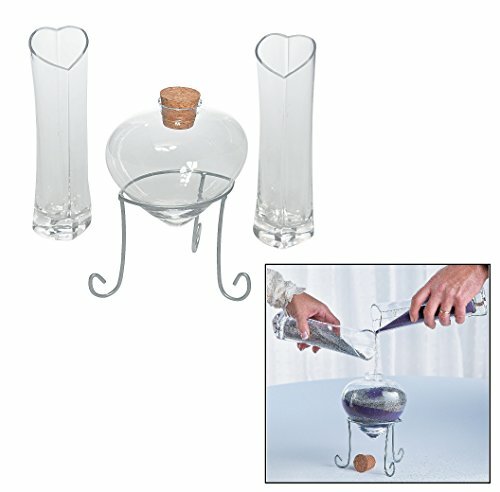 Hearts Sand Ceremony set of four includes large cylinder with glazed, resin base and removable lid carved with hearts featuring rhinestone accents along with three smaller cylinders. Large cylinder is 9-Inch tall and 3-Inch diameter; 11-3/4-Inch tall, 4-1/4-Inch diameter including lid and base; small cylinders are 7-1/2-Inch tall and 1-3/4-Inch diameter. 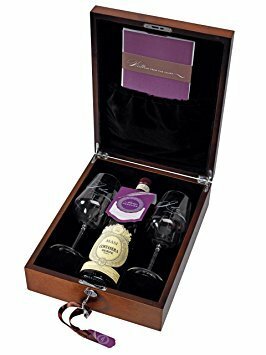 A modern twist on the original sand unity set is the best day ever unity sand ceremony shadow box set. Featuring a contemporary shadow box to hold sand and two curvaceous pouring vases, this unity piece is perfect for the best wedding ever. 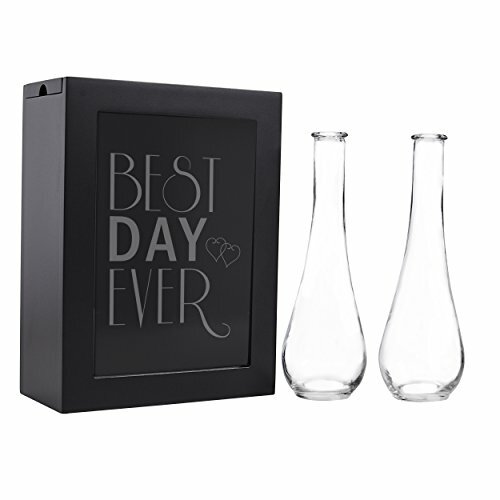 Unite your love into one and after the ceremony place in your home a keepsake of your best day ever. 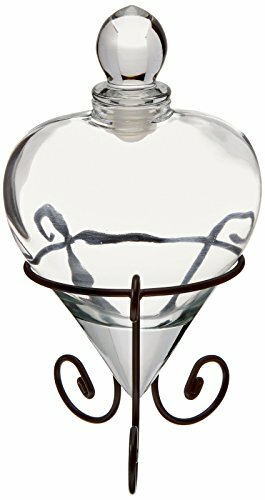 Lillian Rose Heart Unity Sand Vase w/Stand. 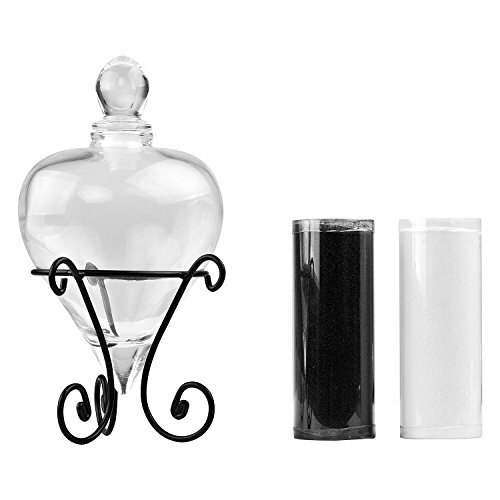 This elegant unity sand holder includes: one glass heart bottle with rubber seal cork and glass stopper. The bottle is 6.5" tall, 5" wide and 3.5" deep. The black wire base stands 4.5" tall. The vase can hold up to 20 ounces of sand (not included). 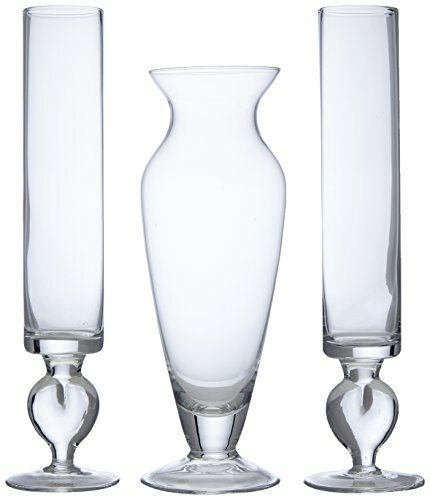 Center vase and 2 side vases can be personalized. 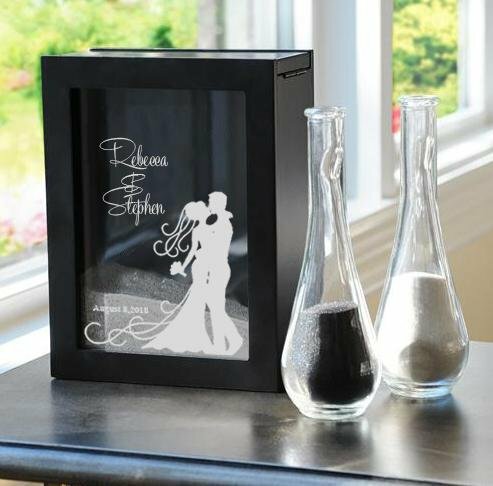 Wedding unity sand ceremony shadow box set includes box (engraved glass) and two glass vases for sand. Sand Sold Separately. Engraving of chosen design Included. All Personalized Items are Final Sale, once engraved cannot be changed, redone or returned...so please proofread all your information before submitting.